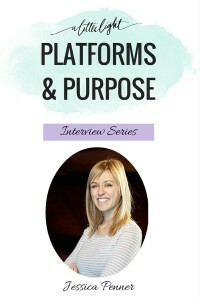 Welcome to another Platforms and Purpose interview. 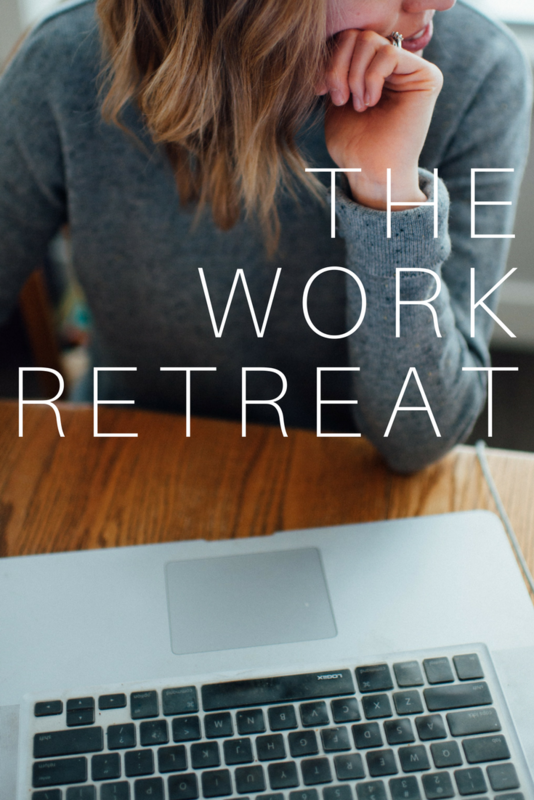 We love to share these special in-depth looks at how women of faith are using their passions and platforms in the online world. Today we are interviewing Jessica Penner of Smart Nutrition. She is a mom to a toddler, wife and Registered Dietician who has taken her work to the online world and offers in-person and online nutritional services. She also has great recipes (this is one of our lunch faves), toddler food ideas and helpful tips. You decided to start a private Registered Dietician practice in 2013 after the birth of your son, what are some of the biggest hurdles you have had to overcome in developing your private practice? The idea of developing a private practice has always intrigued me. I have an entrepreneurial spirit inside of me! But the biggest hurdle was actually just diving in and DOING IT! My original “back to work after maternity leave” plan was to work part-time but that didn’t end up being possible. I knew I wanted to be the primary caregiver for our son so I this was my big opportunity to get into private practice! I needed a bit of a nudge… okay, okay… I needed a shove! It seems like there is always some new trending nutritional factoid or method floating around, what is the current nutritional thing you are pumped up about or want to stand on a soapbox about? I am incredibly passionate about helping people develop a confident, healthy relationship with food. There are so many diets and so many harmful beliefs about food nowadays. Most, if not all, of these focus solely on what to eat. While the ‘what’ is certainly an important aspect, the parts that get left out of the equation are the ‘how’ and ‘why’. This is what I focus on. I want people to fall back in love with food in a healthy way. Eating should be a joyful experience free of guilt and shame! You are a work at home mama, how many hours do you put into your work a week? I’ve been asked this so many times and I don’t have a concrete answer! I usually wake up before my family and have about an hour or less to myself to devote to work. Then after breakfast, I encourage my toddler to play on his own. The success of this is hit or miss and likely depends a lot on whether he had a good sleep the night before! After lunch, it’s nap time and I usually get a couple of hours. When he wakes up I take a break from working and spend some quality time with him. Once supper is over, my husband usually has his playtime with our son and I get a bit more time to work! When I look at that and add things up, it’s about 7 hours a day. About once a week I usually take a day off and go on a special outing with my son. As a Registered Dietician you offer many nutrition-minded services, personally I would love the in-home fridge and pantry makeover! How does social media help or detract from the services you offer? They’re definitely a help! Although I also offer in-person services for local people my main services are online. I provide the nutritional analyses for a couple of food blogs, I have an online program to help people quit overeating, and many, many other ideas for future projects I’d like to tackle! Smart Nutrition is a great site with practical tips, great recipes, and accurate information. What is one social media platform you’ve used that has been the best promotion for you service? Hands down, Pinterest. I’m useless at Twitter. I feel old when I think about Twitter. I just don’t “get it!” I love Facebook on a personal level but I haven’t found it great for promotion. No one ever sees my posts! I’ve even paid to boost my posts. The Facebook “estimated reach” is consistently at least double of what the boost actually gets. It’s so disheartening that there are a lot of people who “like” my page but never see my posts! Your husband was part of one of the videos you made for your “I Quit Overeating!” program, in what other ways do you partner together? The blog, the I Quit Overeating program, and everything else I do would not exist without him! He’s a gifted writer and edits all my articles. He built the website and does all the tech stuff. And I always have about a million new ideas a day so he’s my filter and tells me whether they’re worth pursuing or not! I’d love to give him more credit on the website and highlight it as a joint venture but my husband prefers to be a “behind the scenes” type of guy. Where do you go online and offline to seek community? Facebook is definitely my main mode of online community. I’m a part of a couple of Dietitian groups so it’s great to have that “colleague” connection working from home. Offline: I have a couple different groups of friends with whom I see on a semi-regular basis as well as one really good friend that I see often. My soul is always refreshed when I get a chance to connect with my girls! You have a very holistic approach to your work, In what ways do you see God using your role as a Registered Dietitian in other’s lives? This is something I’ve been pondering. Is my work bringing someone closer God? Does it even need to? I don’t have the answers yet. What I do know is that I’m using the gifts that God has given me. I also feel that the work I do with the ‘I Quit Overeating’ program enables other people to live their lives more fully engaged in their gifts and passions. When people are stuck in a diet mentality, their eating habits take up way too much space in their thoughts and actions. When an eating relationship is restored, the time and energy invested in thinking about and preparing food is returned to an appropriate level. The person can then focus on the ways in which God is using them to make a different in the world. It’s a domino effect! I made a Smoky Corn Chowder yesterday that will taste extra delicious tonight now that the flavour has had a chance to develop a bit more. Just that I’m excited about A Little Light!